If there’s one manga artist who deserves to retire, it is Eiichiro Oda. The man is the beloved brainchild behind One Piece, a series that's celebrating its 20th anniversary this year. So, it isn’t surprising to hear the artist wants to end One Piece as soon as he can. Recently, Shonen Jump’s editor-in-chief did an interview with Budakgetah to talk about Oda’s masterpiece. 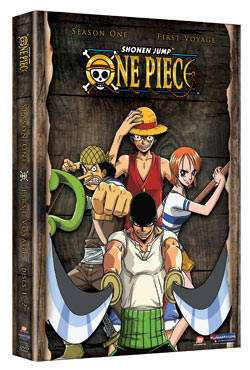 It was there Hiroyuki Nakano admitted the artist was looking forward to wrapping Monkey D. Luffy’s journey. However, Nakano did reassure fans that One Piece would not be ending anytime soon. “Maybe One Piece won’t end that soon,” the editor finished. One Piece began back in July 1997 after Weekly Shonen Jump published Oda’s first chapter. The manga has gone on to become one of Japan’s longest series to-date, and the manga now has over 875 chapters. If you are curious where One Piece stands right now, then you will be happy to know Oda gave fans an update on its progress. The artist previously told fans in a One Piece’s Dai One Piece Shinbun that the manga is only about 65% finished. There’s a very good chance the manga will have more than 1,000 chapters by the time is wraps, so fans better settle in. They have a lot of reading to do in the coming years.